The University of Nottingham Composites Research Group is one of the leading groups in composites science and manufacturing, focusing on the processing and performance of advanced fibre composites, including pioneering work on liquid moulding technologies for out-of-autoclave processing, automated reinforcement deposition, automation of manufacturing processes to reduce touch labour, processes with reduced cycle time for high volume manufacturing, process modelling and recycling and improved structural performance via higher-quality composite components. The programme spans design, processing, performance, and end-of-life disposal. Current composites manufacturing research activities involve partners from the automotive, aerospace, medical, and wind energy sectors, funded by collaborative research grants and supported directly by industry. The Composites Research Group aims to maximise the impact of innovative research for the UK, support existing industries, and open up new industries and markets in growth areas. The University of Nottingham Composites Research Group have led research projects on the design and manufacture of polymer composites since the 1960s, including pioneering work on out-of-autoclave processing, automated reinforcement deposition, process modelling and recycling. Current activities relate to the automotive, aerospace, wind energy and medical sectors. Currently the group consists of 11 academic staff, 64 researchers and a research grant portfolio of £14M. Extensive facilities exist for composites manufacture, materials characterisation, specimen and component testing and computational modelling. This rich heritage and body of expertise made Nottingham the natural choice to lead the CIMComp (EP/IO33513/1) in 2011. This was underpinned by £5.8M core funding from EPSRC plus cash and in-kind support from industry of £2.6M, and leveraged £13M in additional grant income. The Centre supports over 40 PhD students and 21 Research Fellows, working in partnership with 39 companies as well as with the National Composites Centre. 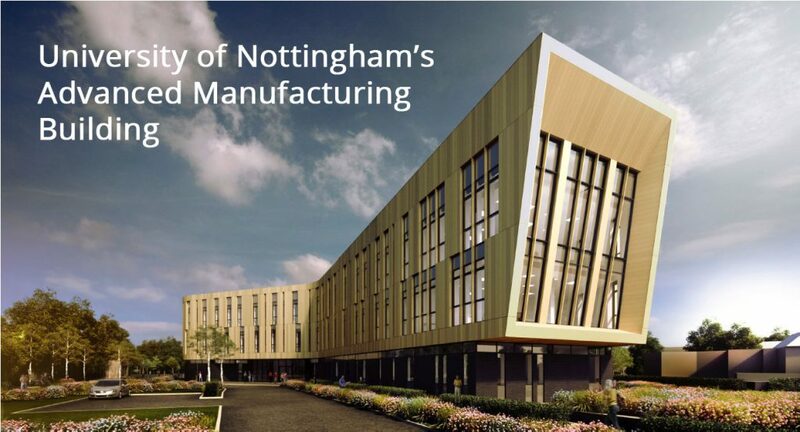 The University of Nottingham has recently announced an investment of £24M in a world class Advanced Manufacturing Research building (9000m2), which will house the Composites Research Group and will be home to the Composites Hub with dedicated laboratory and office space. Nottingham lead the EPSRC Future Composites Manufacturing Research Hub, developing basic and applied research into composites manufacturing science and technology for the UK community. The academic team members are Professor Andrew Long (Hub Director), Dr Tom Turner (Deputy Director), Dr Lee Harper (Hub Manager), Professor Stephen Pickering, Professor Nick Warrior, Dr Mike Johnson (Deputy Director of the IDC), Professor Arthur Jones, Dr Davide de Focatiis, Dr Mike Clifford, Dr Tao Liu, and Dr Dimitrios Chronopoulos.